Home Uncategorized Chávez’s Latest Fixation: What’s he after? Chávez’s Latest Fixation: What’s he after? Quico says: Poor Colombians. Their country has become the latest focus of Chávez’s boundless capacity to fixate. The guy doesn’t seem to talk about much else these days – Venezuela is just too boring, I guess. Me? I’m at a disadvantage here because I’m embarrassingly ignorant about Colombia. I couldn’t tell a cachaco from an ajiaco if my life depended on it. And I don’t have a sense of the internal dynamics of Colombian politics: I suspect very few Venezuelans do. But I find it really hard to piece together what Chávez’s longer term goals with regard to Colombia are, what his tactical and strategic thinking is in picking a very public fight with Uribe and openly siding with the rebels. Softly softly co-operation of the kind we’ve seen for years? I can understand the point of that: there’s a ton of money to be made, and it really ticks off the US. But setting out to make it all public? I just can’t figure out what he thinks he gains from that. Katy thinks, most likely, his goal is a FARC-style government that reaches power the way he did: through the ballot box. A Colombian Correa, call it, or even a Colombian Evo. But if that’s the plan, why openly endorse an organization the vast majority of Colombians fear and loathe? Wouldn’t that be like trying to influence the US political process by cozying up to the Nation of Islam? I just don’t see how these tactics serve that goal. 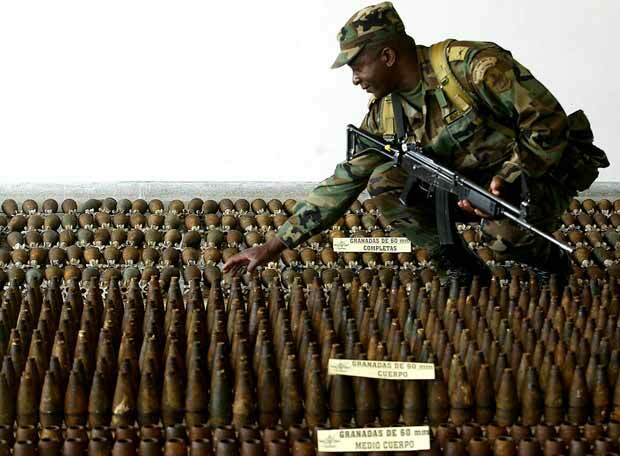 In such a scenario, the US would surely step in to aid the Colombian government, either directly or (more likely) through massively stepped up military aid. Can Chávez really be out of it enough to think he can get a result under those circumstances? Which raises an intriguing possibility: could Colombia really just be the mechanism Chávez is using to goad the US into a more overt, maybe even military, confrontation? It doesn’t seem unimaginable to me: Chávez must surely be frustrated that the US just keeps ignoring his rants. Siding openly with FARC is one way to force the issue. By backing a direct opponent of a US client, and holding out the possibility of far more open and frank co-operation with FARC’s coke smuggling operation, Chávez moves more and more from the buffoonish irritant category to become a real threat to US national security. Could it be that Chávez ultimately believes his “revolution” will only come to be seen as a real revolution if it survives a proper baptism of fire? An armed confrontation with empire? It’s a crazy idea…deliriously risky and very likely to backfire…but it doesn’t make any less sense than the others. Frankly, I can’t piece it together. But the military angle can’t just be dismissed: it’s significant Chávez spent the last four years simultaneously pretending to be best-buddies with Uribe and buying all kinds of weaponry abroad, only to drop the pretense of friendship once he had the guns in place. Coincidence? I don’t believe in coincidences.